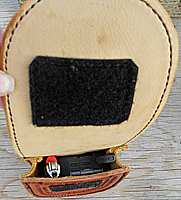 Handy survival tool belt carries a custom knife, fire starter and compass. Fits most belts. 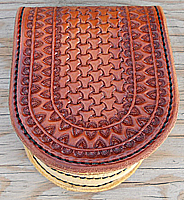 Shown above in brown USA quality leather and is lined. Brass button quick shut flaps are fast and easy to operate. 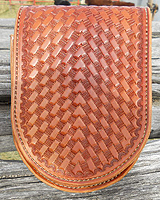 Sharp knifeworks can build you any type or style knife to go in your survival tool belt. 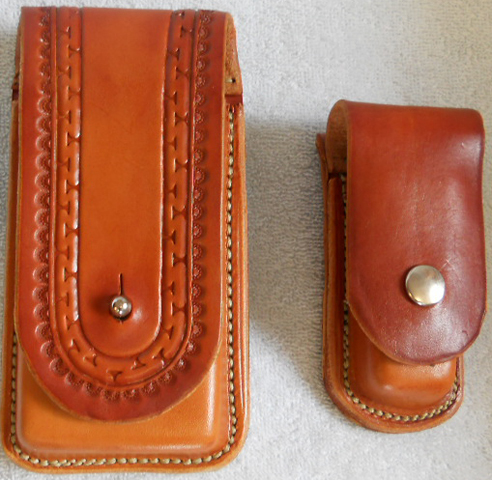 Sharp's can custom design pouches for different tools and survival accessories. 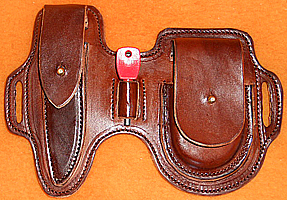 Please call for pricing on this survival belt as each one is unique with different size sheaths and pouches. 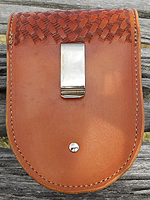 Design A Pocket Survival Pouch shown at left in russet leather with a basket stamp design. Design B Pocket Survival Pouch shown at left in russet leather with a southwest design. 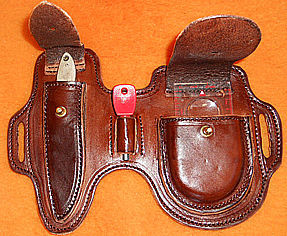 Leatherman sheath shown at left in brown leather with heavy snap and belt loop. Leatherman not included. 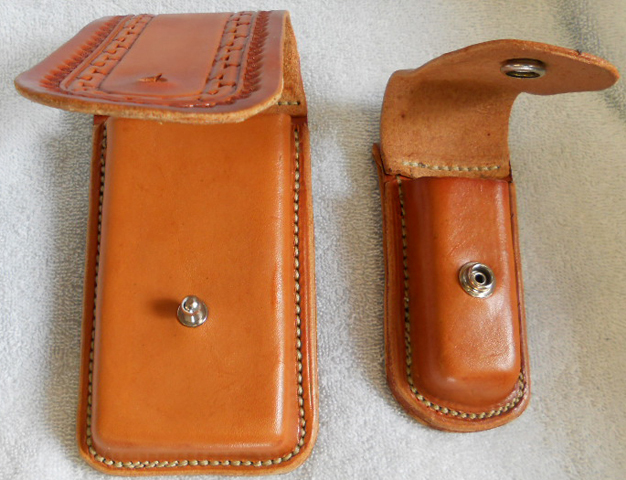 Heavy leather working mans case for those who really use their Leatherman. 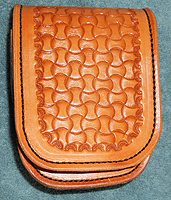 Can be ordered with initials or in other leather colors. Inside detail shown at right.